Your physical therapy treatment and/or evaluation will be for one hour, one-on-one with a New York State licensed Doctor of Physical Therapy. Instrumented assisted soft tissue massage assists to down regulate (relax) and up regulate (facilitate) dysfunctional muscles/tissues. RockTape increases circulation, blood flow, and awareness to muscles. It reduces fatigue and lactic acid build up and pain. Cupping helps to decompress the skin/fascia, increasing blood flow and reducing pain. Have a race or an event coming up and need a good stretch before/after? 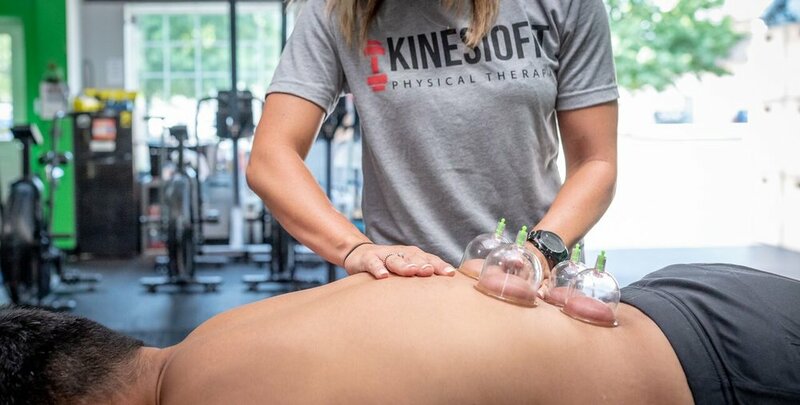 Come into KinesioFit and get mobile!